•	Harley Davidson ESP WARRANTY to June 30, 2019 INCLUDED WITH THIS BEAUTIFUL 2012 CVO HARLEY DAVIDSON SCREAMING EAGLE MOTORCYCLE. ELECTRIC ORANGE OVER BLACK DIAMOND PAINT AND BIG CITY LIGHTS GRAPHICS TURN HEADS AND EYES FOR A CLOSER LOOK WHERE EVER I RIDE IT. •	AS NICE AS THEY COME, 35K MILES, ONE SENIOR OWNER, VERY CLEAN, WELL MAINTAINED AND ALWAYS GARAGED. LOADED UP WITH ALL STANDARD FLHTCUSE7 CVO UPGRADES & ACCESSORIES PLUS OVER $3,200 IN AFTERMARKET ACCESSORIES. Request a complete list of accessories and equipment included for you! •	I WOKE UP THE STOCK 110 CU. IN. EFI ENGINE WITH STAGE 1 UPGRADES ADDING V-H TRUE CROSSOVER DUALS AND COBRA RACE PRO PIPES AND HD POWER VISIONS TUNING. •	ALL ORIGINAL PARTS, ACCESSORIES, OWNERS MANUALS AND SERVICES RECORDS ARE AVAILABLE TO THE NEW PROUD OWNER. •	FULL SCHEDULED MAINTENANCE COMPLETED. •	PRICE IS $18,875 CASH OR CERTIFIED BANK CHECK. •	H-D EXTENDED WARRANTY IS INCLUDED, Transferable!, Expires June 30, 2019. WOW - THAT IS ONE SWEET DEAL!! 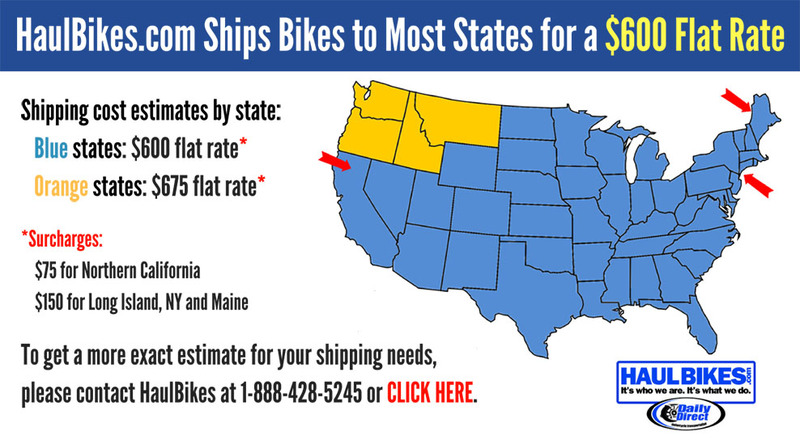 •	DELIVERY AND FINANCING ARE AVAILABLE - HD Rider to Rider Financing at competitive rates! •	YOU SHOULD CONSIDER THIS BIKE SERIOUSLY! IT IS WORTH IT! •	CALL SCOTT AT 706-260-0821. •	WHY DO I RIDE? - MAN LOVES AN ADVENTURE - MAN LOVES TO FIGHT A WAR - AND MAN ABSOLUTELY LOVES A THING OF BEAUTY. GIVE ME A WAIVE NEXT TIME WE PASS IF YOU AGREE!! The 2012 Harley-Davidson® CVO™ Ultra Classic® Electra Glide® is a high end performance motorcycle with Screamin' Eagle power that gives you the ultimate in premium featured touring. This bike is powered by a Harley® Screamin' Eagle Twin Cam 110™ Engine. This Twin Cam engine provides 110™ cubic inches of power, a low cruising rpm, and lots of low end torque. Setting this bike's CVO™ Screamin' Eagle engine apart from the rest is the granite powertrain. This Screamin' Eagle performance motorcycle is custom touring at its finest. For an ultra comfortable ride the seat is heated. Take a good look at all of the premium features and components of this bike including the Harley-Davidson® Screamin' Eagle Twin Cam 110™ engine and upgraded BOOM! high performance audio speakers. All the quality. All the legacy of the Harley-Davidson® name. Plus custom touches and performance that distinguish you from every other bike on the road. Sure there's a little vanity. Premium custom paint. Big, tricked-out wheels. The perfect storm of engineering and style you'll only find on a custom machine. And you'll spoil yourself with the accessories—from comfort to electronics to chrome. But the real signature of a Harley-Davidson® Custom Vehicle Operations™ motorcycle is the explosive power and sleek detailing of the huge Screamin' Eagle® engine. It's custom-built, not just for anyone, but for true connoisseurs of the road. The back end of the CVO™ Ultra Classic® Electra Glide® model demonstrates once again the premium style and innovative engineering you'll find with the Custom Vehicle Operations at Harley-Davidson®. The taillight features an integrated chrome wraparound brake light for a clean look. And with the LEDs, you get additional style, increased visual footprint at night and long-lasting light. The premium custom look goes the distance on the CVO™ Ultra Classic® Electra Glide® model with the chrome dual exhaust. Featuring 4-inch touring mufflers, chrome billet end caps with black spears and chrome touring exhaust shields. Relish in the rumble and performance of these high-end pipes. 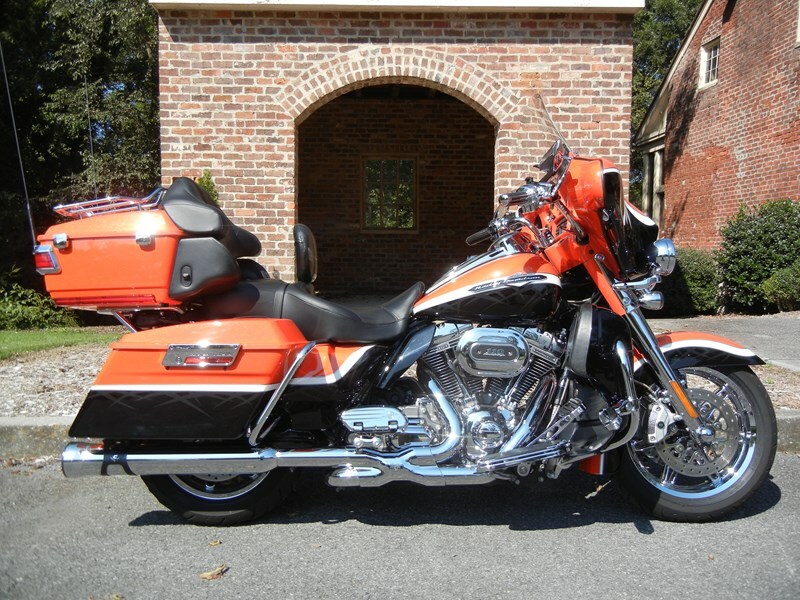 Note: 2012 Harley-Davidson CVO™ Ultra Classic® Electra Glide® specifications are provided by the manufacturer and may not reflect this 2012 Harley-Davidson FLHTCUSE7 - CVO Ultra Classic Electra Glide motorcycle for sale. The 2012 Harley-Davidson CVO Ultra Classic Electra Glide is a high-end performance motorcycle with Screamin' Eagle power that gives you the ultimate in premium featured touring. This bike is powered by a Harley Screamin' Eagle Twin Cam 110 engine. This Twin Cam engine provides 110 cubic inches of power, a low cruising rpm, and lots of low end torque. Setting this bike's CVO Screamin' Eagle engine apart from the rest is the granite powertrain. This Screamin' Eagle performance motorcycle is custom touring at its finest. For an ultra comfortable ride the seat is heated. Take a good look at all of the premium features and components of this bike including the Harley-Davidson Screamin' Eagle Twin Cam 110 engine and upgraded BOOM! high performance audio speakers. There are a few other Harley CVO motorcycles to learn more about as well. Take a look at the CVO Road Glide Custom motorcycle, the CVO Softail Convertible custom Harley, and check out the CVO Street Glide's custom Harley wheels. Hello, I'm interested in your 2012 CVO™ Ultra Classic® Electra Glide®. Hello, I'm interested in making an offer on your 2012 CVO™ Ultra Classic® Electra Glide®. Hello, I'm interested in trading in my bike for your 2012 CVO™ Ultra Classic® Electra Glide®. Hello, I'm interested in taking your 2012 CVO™ Ultra Classic® Electra Glide® for a test ride.